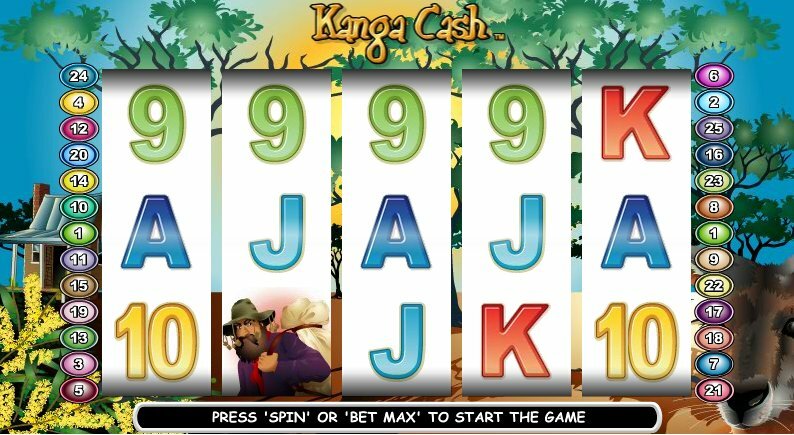 The game of Kanga Cash Slots come from the land down under and will keep you wanting to play more. With an Australian theme, the game seems dedicated to help you win some cash. It has a 5 reel, 9 pay line system with a top pay out of 3,000 coins. The range of bets is from $1 to $2 which keeps the big wins flowing. The game has been very well made, with simple but good designs and animations. The theme of the Australian outback has been well incorporated and playing Kanga Cash Slots is quite easy. The symbols are that of Koalas, Kangaroos, Miners, Ostrich, Cockatoo, Dingo, Hats, Flowers, Outback and Beer etc. The Kangaroo wild symbol shows up on only the outer reels and it substitutes for all except the scatter symbol. Any winning made with the wild symbol is also doubled. It also starts the bonus free spins if two wild symbols are spun on the reels together. The free spins have big wins and you can win even more free spins. The Kanga Cash scatter symbol wins multiples of the bet you have played. 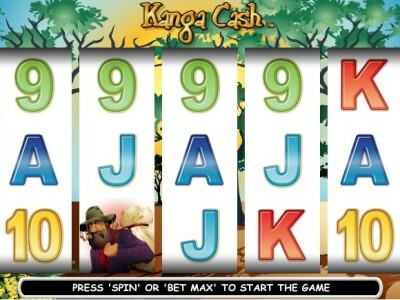 Kanga Cash Slots is simple and entertaining and must try for all.